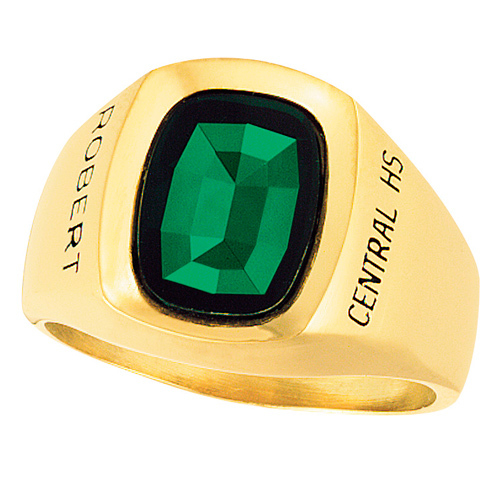 Customize the 10kt yellow gold Aston class ring with your name, school name or graduation year on the sides. Solid back. The Aston ring boasts a smooth polished finish, and is handcrafted in the USA by Gold Lance. Engraving is always in capital letters.